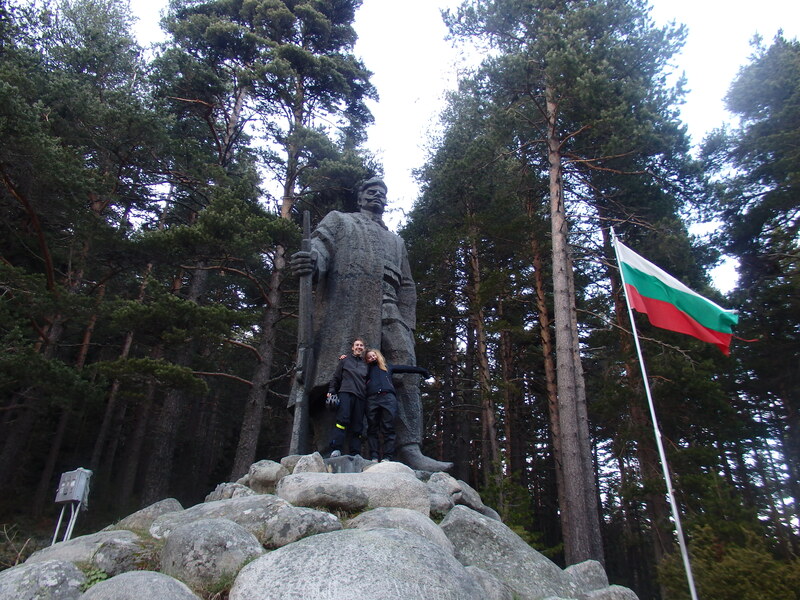 With my brakes working again, we crossed the Macedonian border back into Bulgaria again. Just passed the border we found a what looked like a perfect picnic spot by on old bridge over a river. 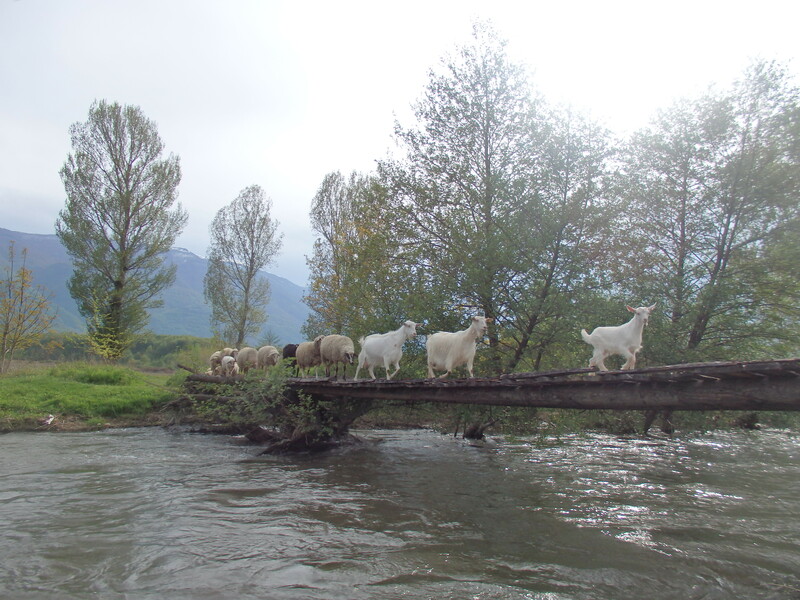 But the picnic didn’t last very long – a shepherd arrived out of nowhere shouting at us to move so that he could get his herd of goats over the bridge. 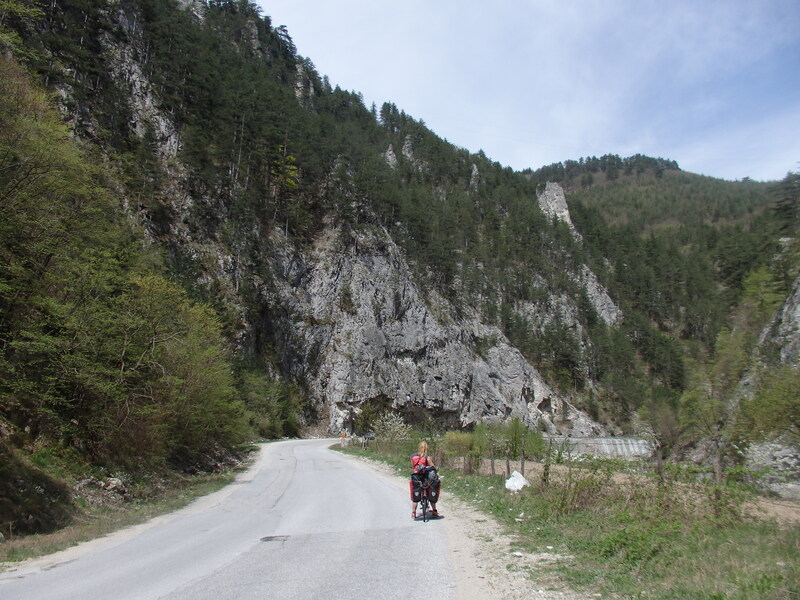 We headed for Sandanski – a town in the south-west corner of the country where we stopped for a night. We’d found a host via Couchsurfing who kindly let us stay in his spare apartment (that he normally rents out to tourists in season). 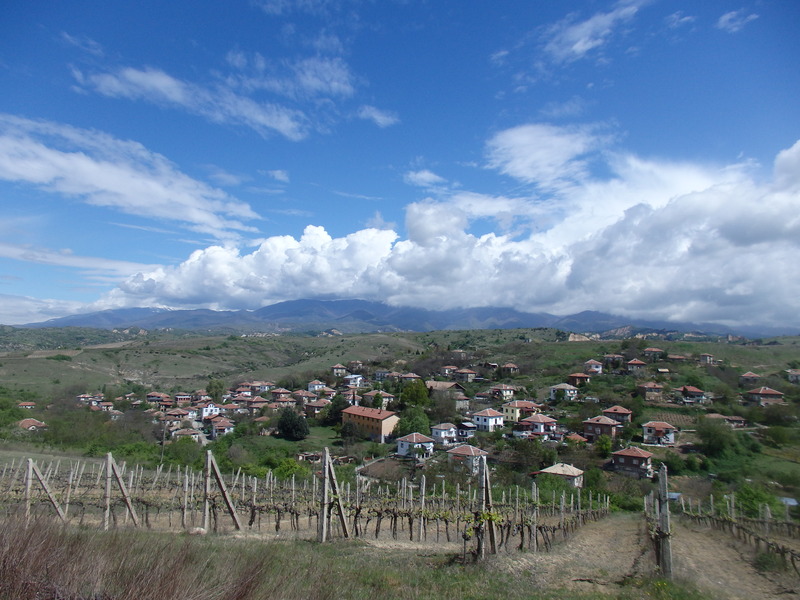 We stopped in a small mountain village called Melnik – famous for its wine (apparently Winston Churchill’s favourite). 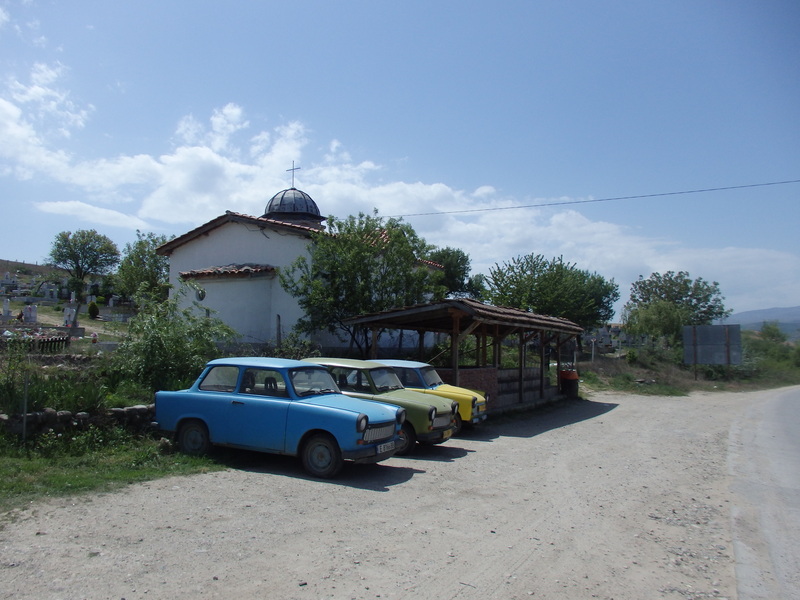 The place was mentioned in the Bulgaria Lonely Planet we’d had a peek in and as a result it felt very, well, ‘Lonely Planet’. 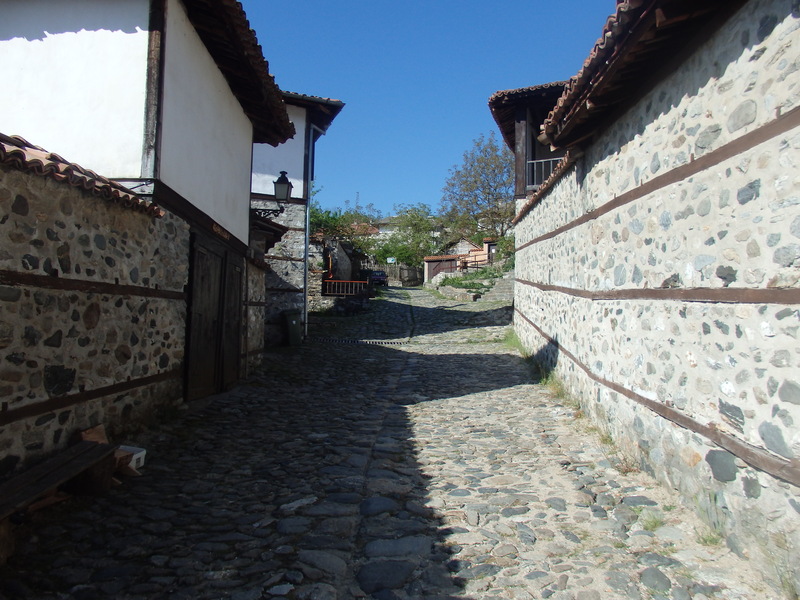 Charming old streets and houses but entirely set up for tourists. 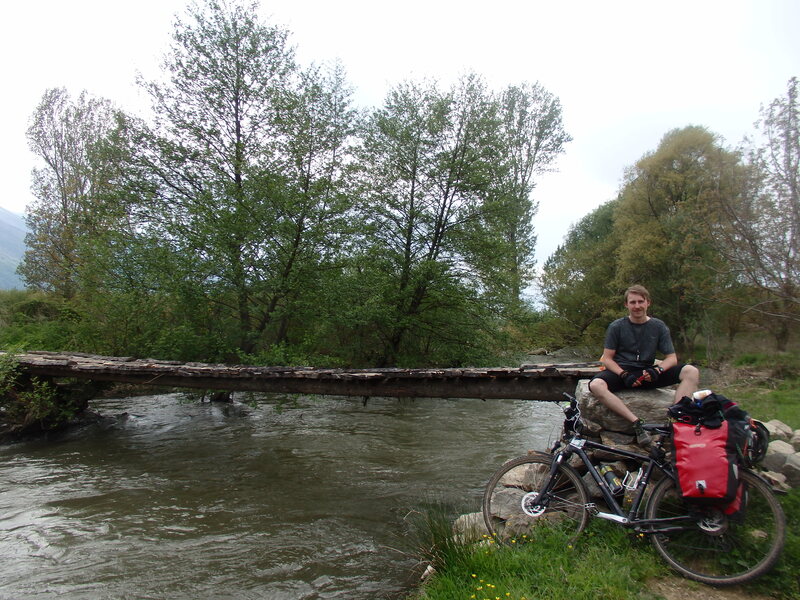 After a few glasses of vino we decided to pedal a few more kilometers before finding somewhere to camp. We knew we had a big mountain pass to tackle the following day so figured a little extra distance would be useful. 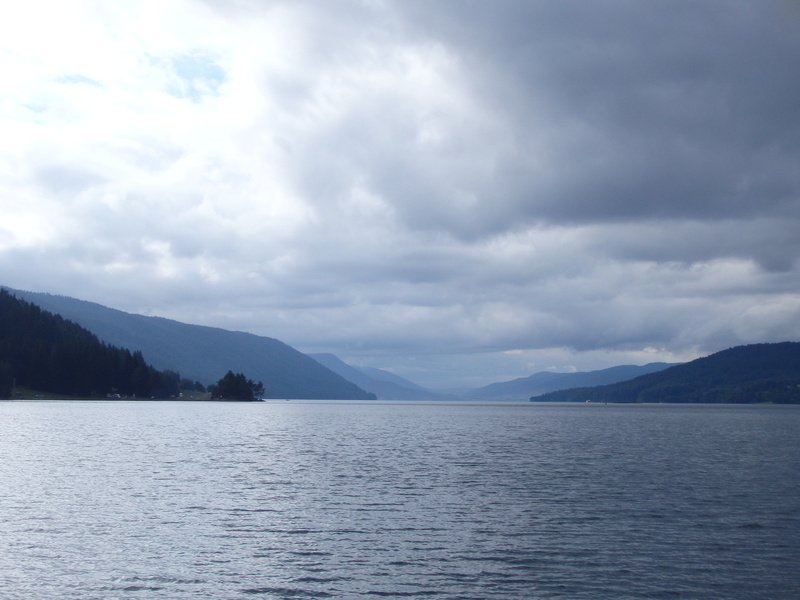 As we left town we heard thunder in the distance and the clouds started turning an ominous grey. We knew we were in trouble as the thunder came closer and closer to the lightning (and the villagers we passed looked at us with concern) and then suddenly the skies opened. We were soaked through in a matter of seconds and getting hammered by hail, so sprinted back to the last village to find some shelter. 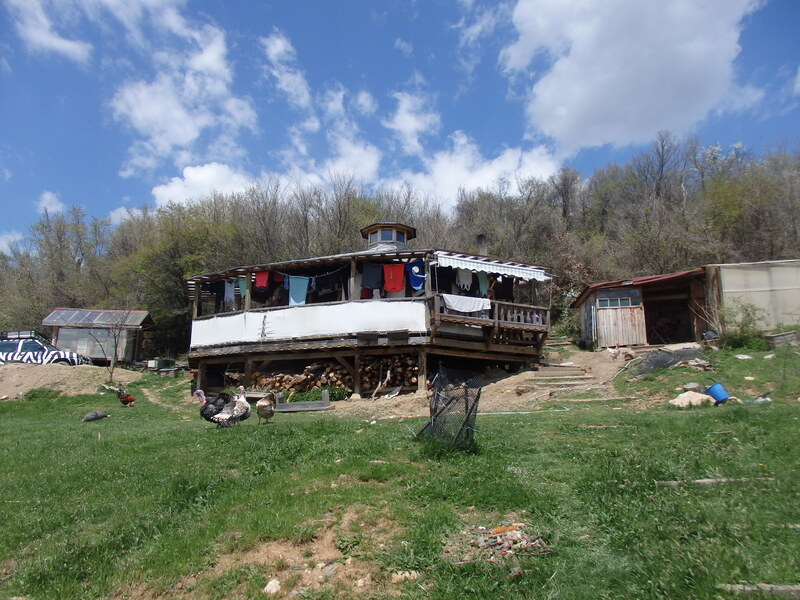 We stopped outside a small house where the family inside took pity on us and invited us in. They gave us tea and some dry clothes to borrow. There were three generations inside – the youngest of which was an adorable 4 year old girl who found me and Pia very entertaining. After a while the storm didn’t look like it was going to ease up. 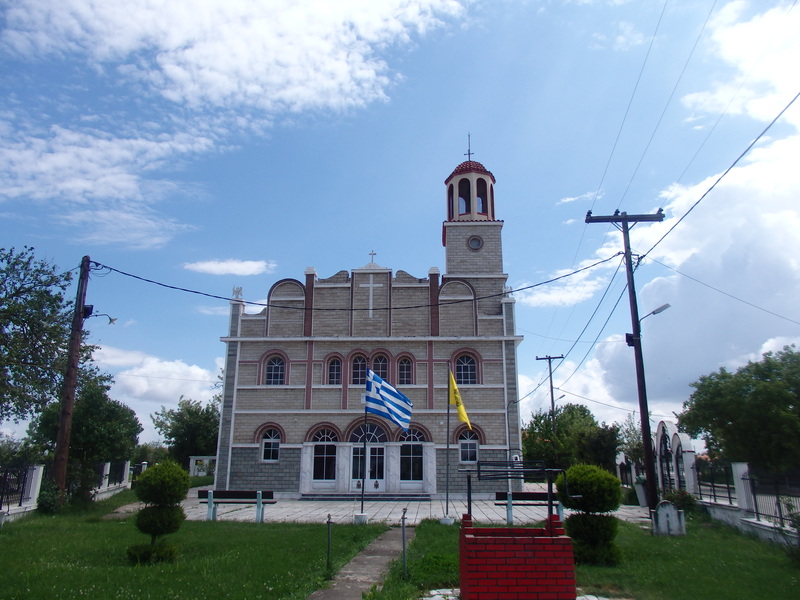 The father called a friend who spoke English and had a room in Melknik. 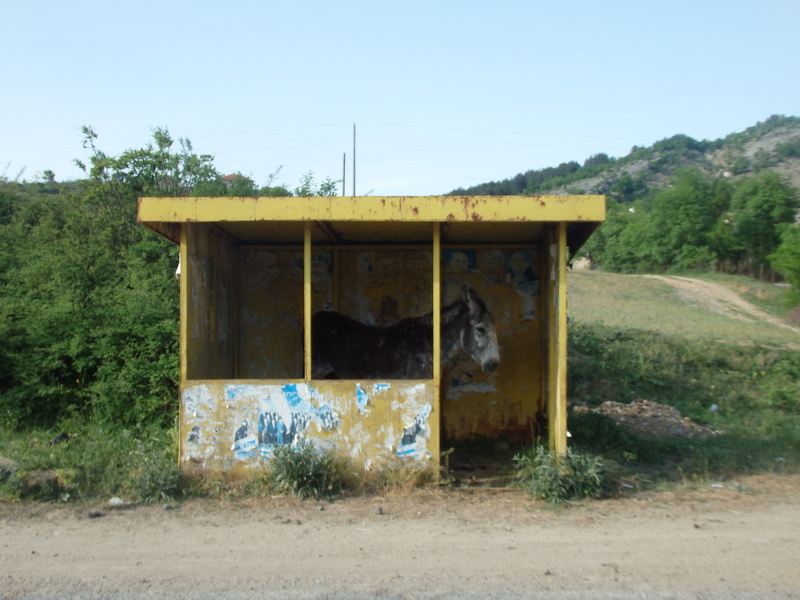 I was annoyed to have to go back to the village again, but the price was super cheap and he said he’d come and pick us up in his van! We set off in the morning. All our clothes were wet but the sun was out again. The mountains around us were beautiful and we felt ready for the climb up ‘Popski Pass’. At the bottom of the mountain a policeman stopped us. 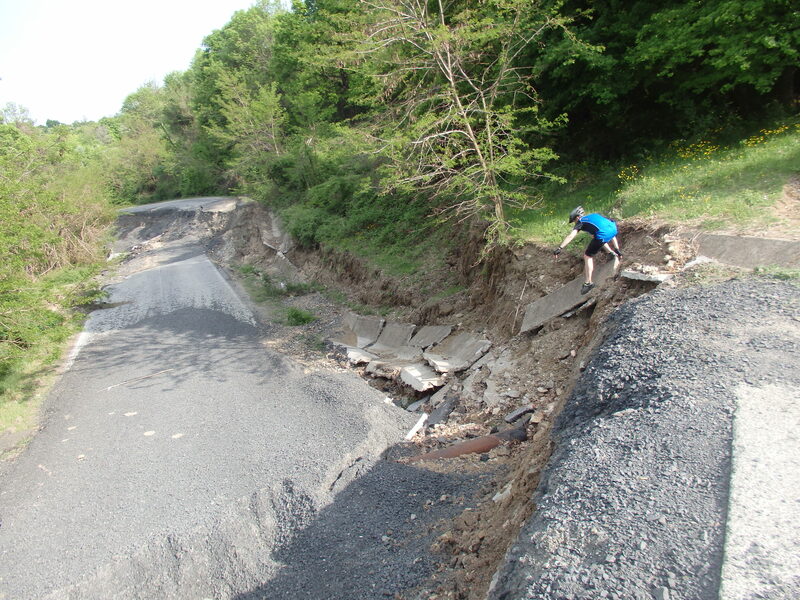 I didn’t have a clue what he was telling us, but he seemed to be warning us about something to do with landslides. Bulgarian’s shake their heads when they mean ‘yes’ which is insanely confusing and so we pushed on hoping he wasn’t saying anything to serious. Halfway up the mountain there were some large roadworks going on. We passed them and continued up a few more hairpins when a huge explosion echoed across the valley. They were blowing up big section of the road for their constructions – that’s what we’d been warning us about. The clouds were looking terrifying at the mountain-top, so we decided to camp at the peak. We climbed up to about 1,200m which was more than enough for the day. We found a place to make camp in the forest and somehow weren’t too cold in the night. The ride down was glorious. 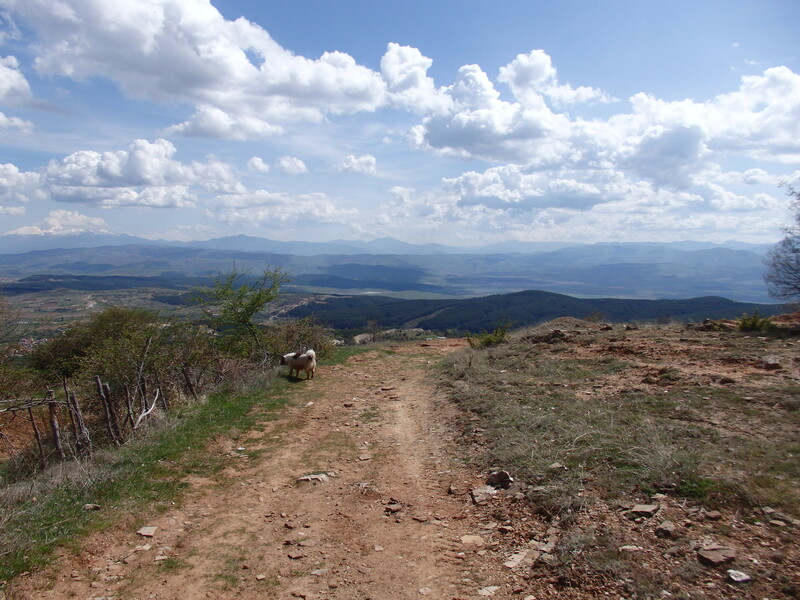 From the mountain passes I like to follow my pedometer and see how far I can go without pedaling at all. This was a new record – 13.5km! 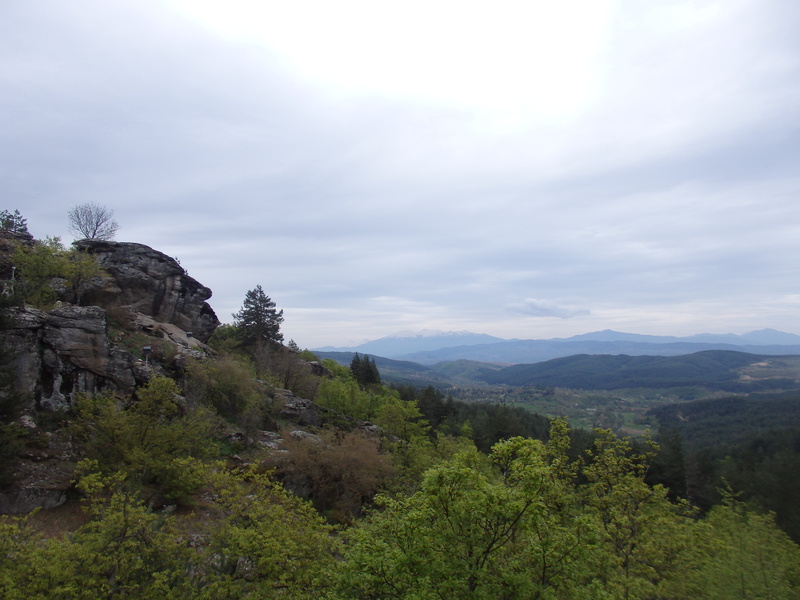 We had one more steep climb for the end of the day, up the other side of the valley past the stone yards and up to the small village of Krushevo. 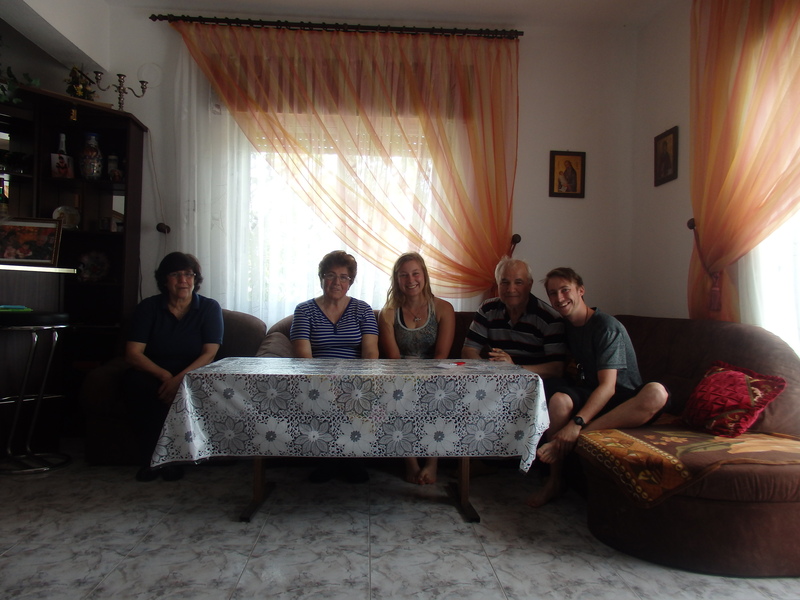 We stayed with the most amazing English couple who’d moved to the village 8 years. 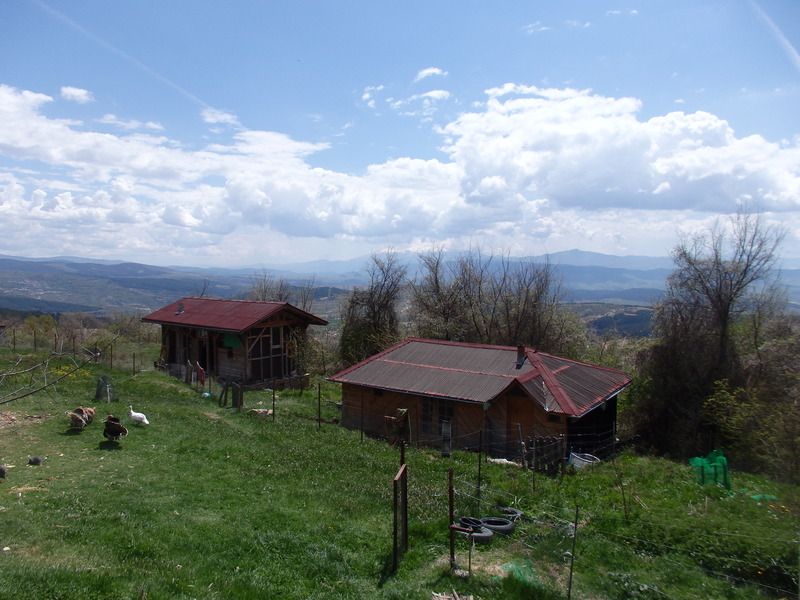 They’d built there home from straw-bale and we slept in a converted camper van at the bottom of the garden. I’ve never stayed somewhere with such a breathtaking view. We took a day off to explore the village and its surroundings. 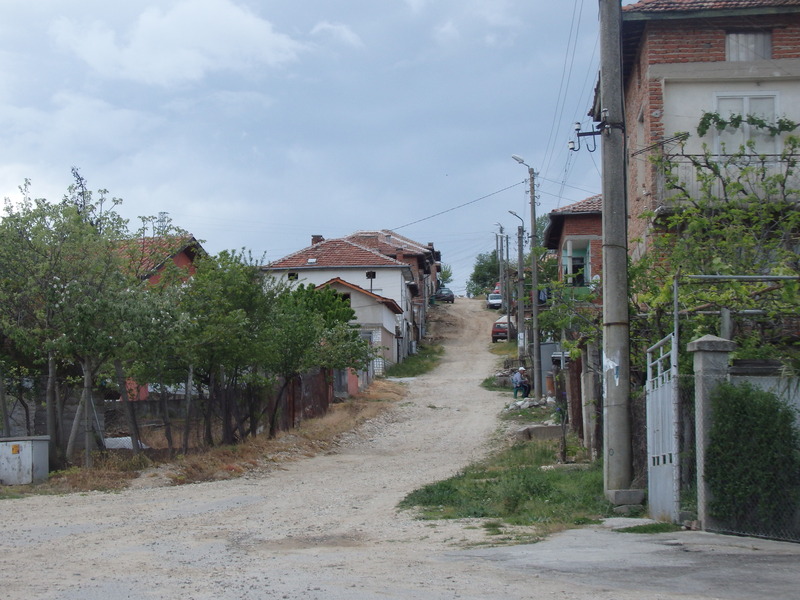 The locals – Bulgarian Muslims (Pomak people) where wonderful. The woman were dressed head-to-toe in colourful clothes and everyone wanted to talk to us. On our way out of the village we stopped to see the ‘weeping man’ rock. A strange rock formation that had been an ancient religious site due to the stone face crying, looking out over the valley. We also made a brief stop in Dospat to visit the huge lake before looking for somewhere to camp. We found another beautiful spot to pitch our tents. 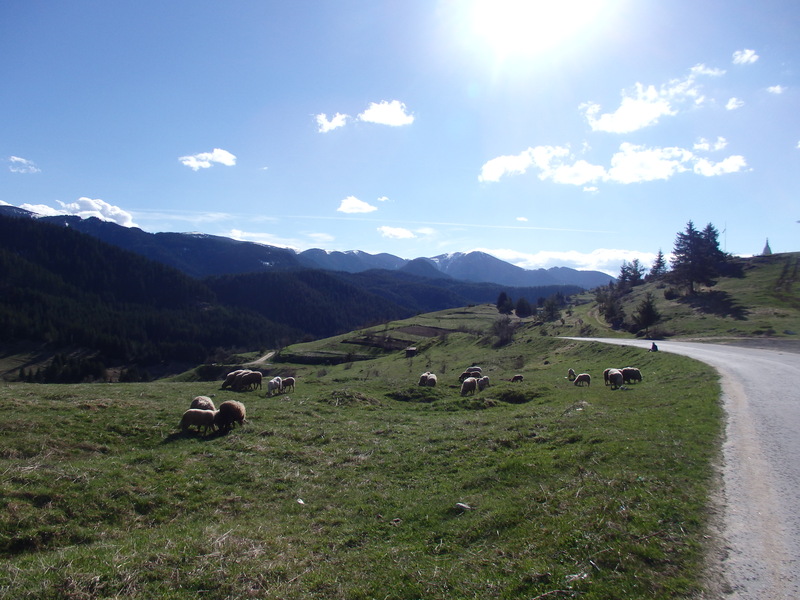 In the Rhodope mountains there are these ‘berzesca’s (God knows how you spell that) everywhere – water springs with picnic spots. When people die, instead of leaving a gravestone they make build a spring – a nice touch I think. And so there is water literally everywhere here in the mountains. 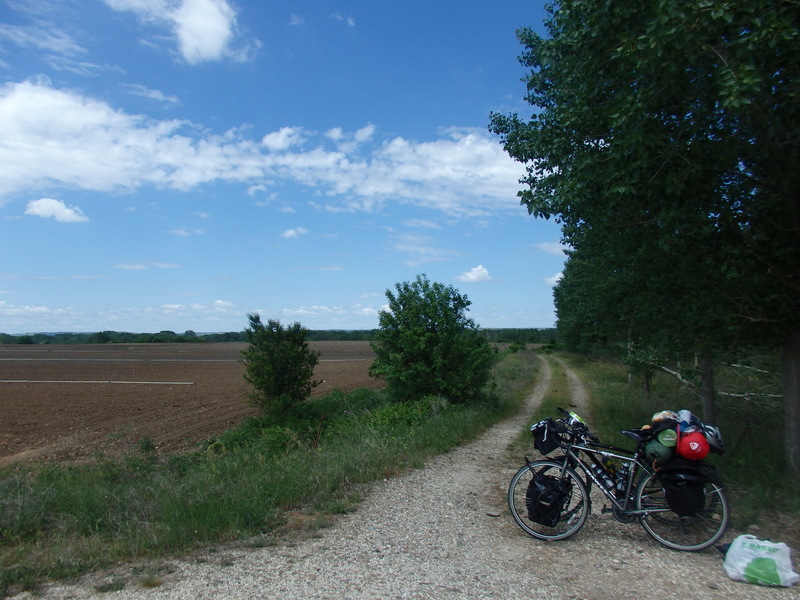 Upon leaving our campsite, we pushed our bikes back over a field to the road. One section was covered in condoms and tissues – a slightly unpleasant site. I can’t imagine there’s much of a dogging scene somewhere so rural so it was a slightly bizarre thing to see – I’m glad we didn’t see it on the way in to the forest! 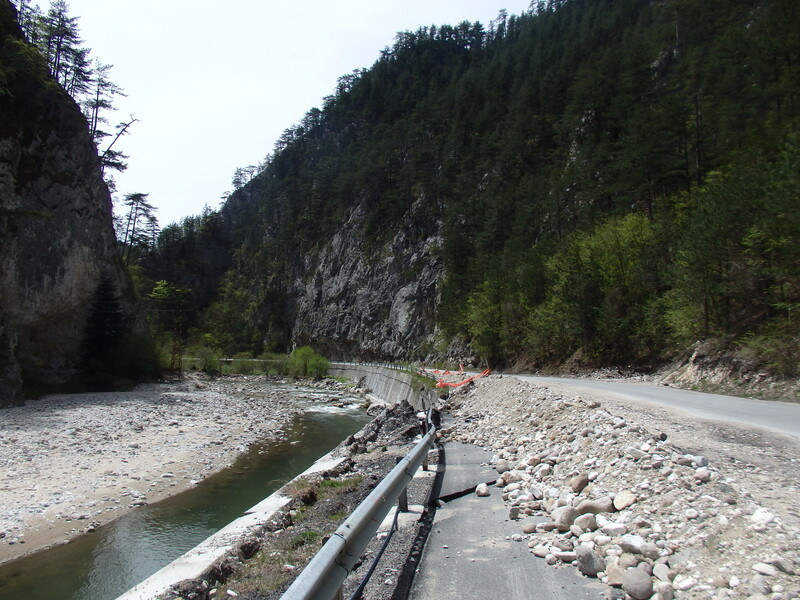 The mountains closed in on us and soon we were cycling along a steep gorge. The terrain was dramatic and incredible to pass. 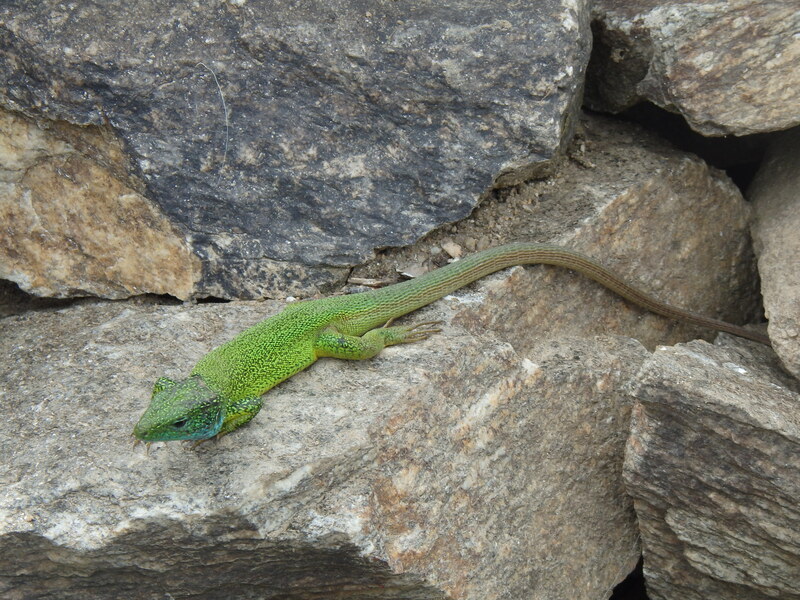 We had another big pass to conqueror – this time up at 1,600m. 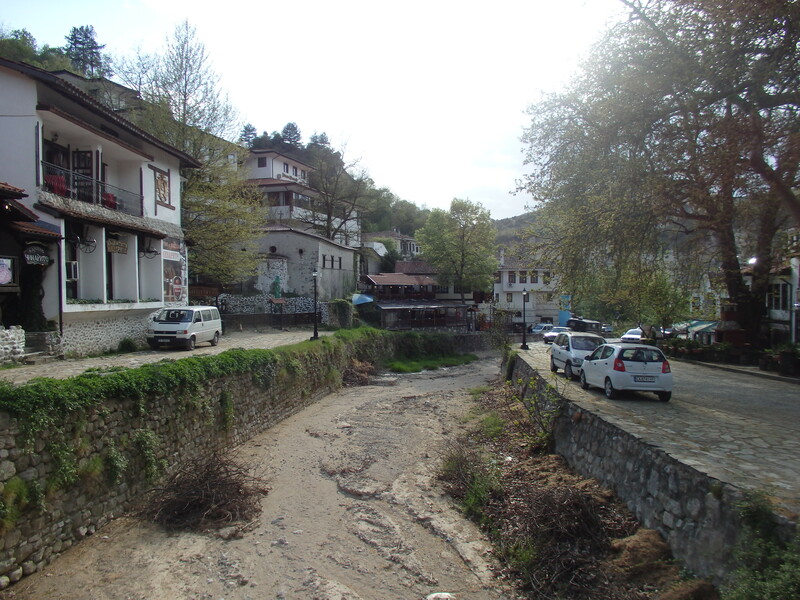 I’d hoped to make it over the mountain in time to catch the end of the Chelsea game somewhere in Smolyan, but realised fairly soon that that wasn’t going to happen. At the top there was a new hotel (I think there were ski slopes nearby) and one of them had unlocked WiFi. Hearing that Chelsea had topped the Premier League spurred me on in a good mood. We were up in the snow once again, but only briefly. 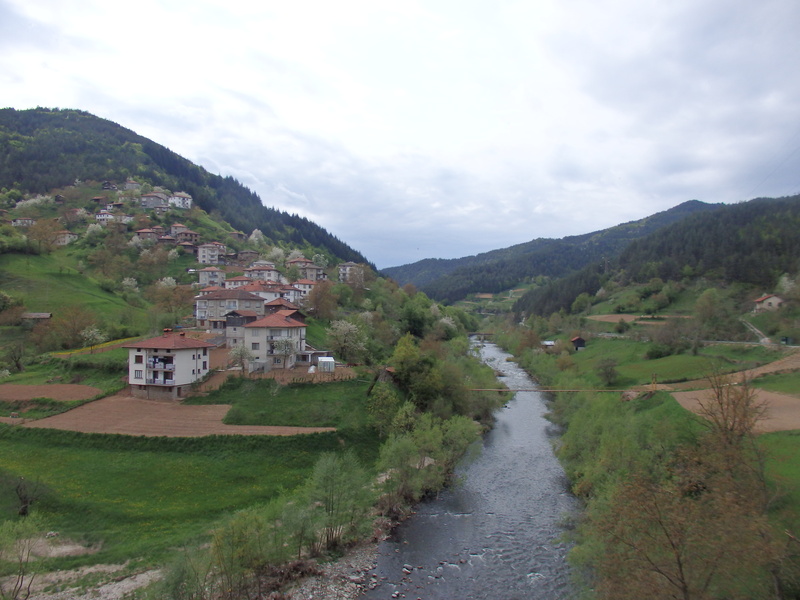 And after a long descent we reached the town Smolyan. 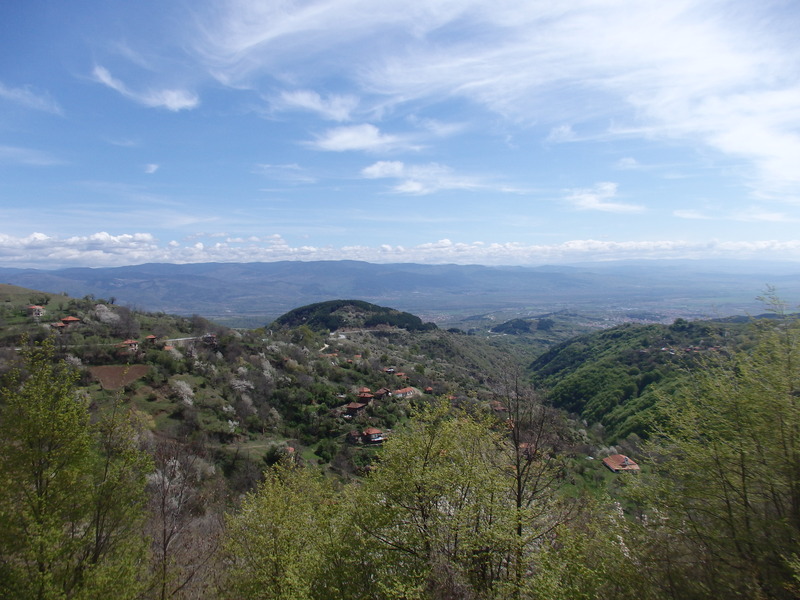 From there we had a much easier day to Zlatograd, close to the Greek border. We stayed with another Couchsurfer who kindly let us have their spare apartment all to ourselves. Another hilly day followed, but once again beautiful scenery. 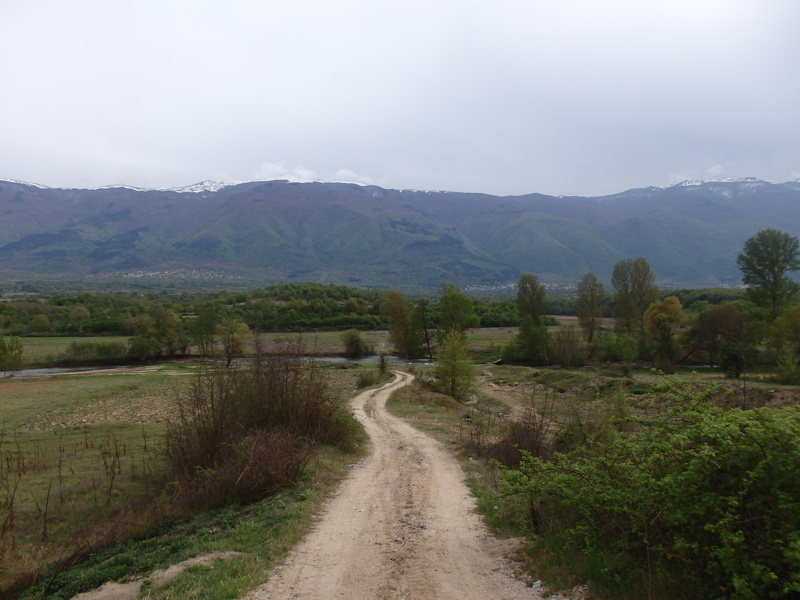 Now the landscape was more rocky with rolling fields around us. 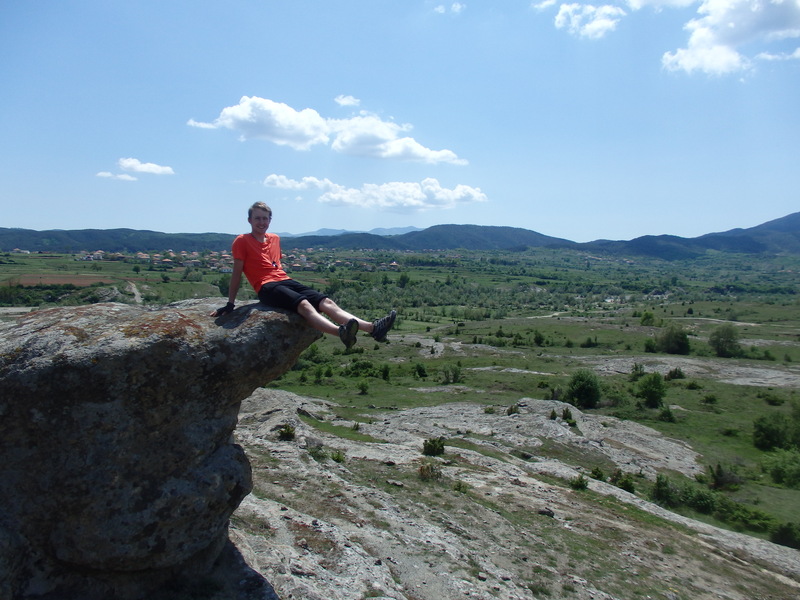 We were able to Couchsurf with a South African/English couple who were building a hostel in the middle of nowhere near Momchilgrad. The building was an old school which they’d turned into the ‘Happy Hippy Hostel’ – and it was an amazing place. 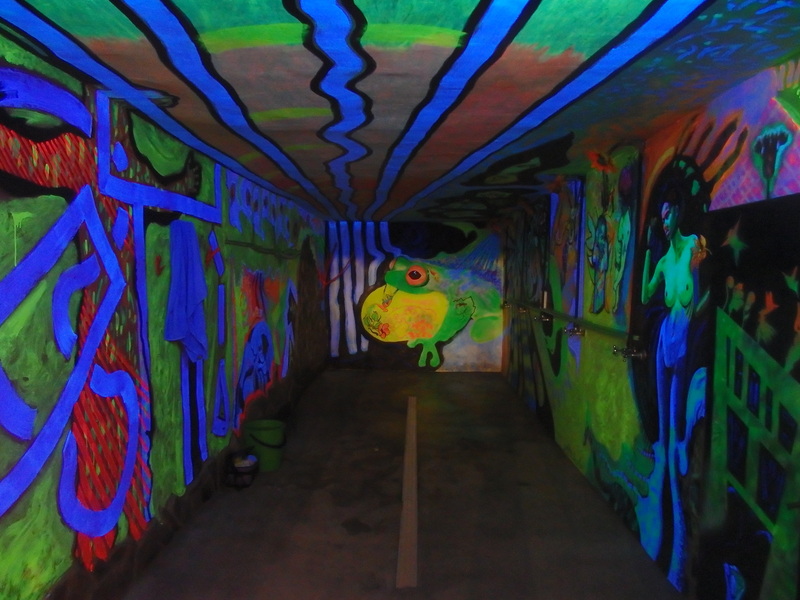 The ‘psychedelic shower’ was the best part. The tiny road up to the hostel had been strangely busy. We found out why when we arrived – a spring (about 5km up the road) was supposedly a healing bath this one night of the year. And so there were cars passing all through the night mostly carrying Romanians and Turks. 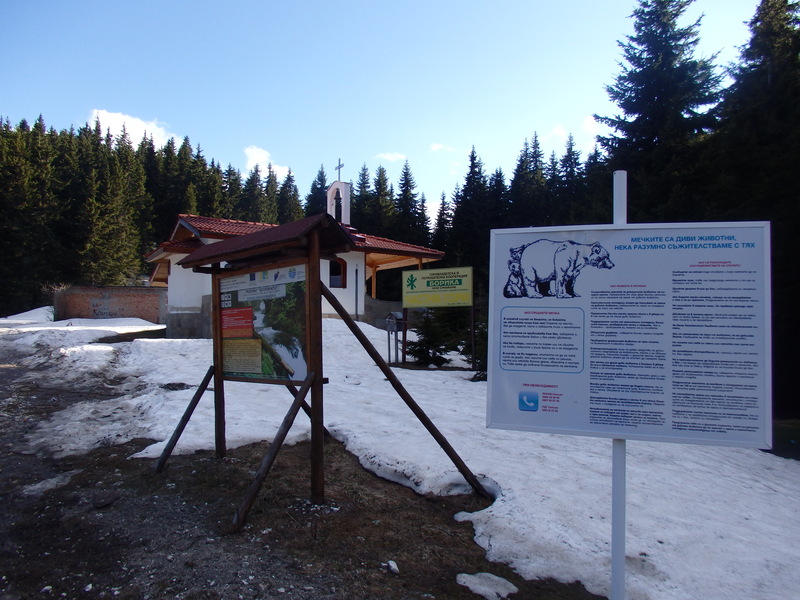 I was tempted to go up and visit – I was curious to see how everyone would get their healing time with so many people heading to a small spring, but I didn’t fancy any more uphill cycling. The forest grew thicker and more jungle like and we passed another serious landslide. 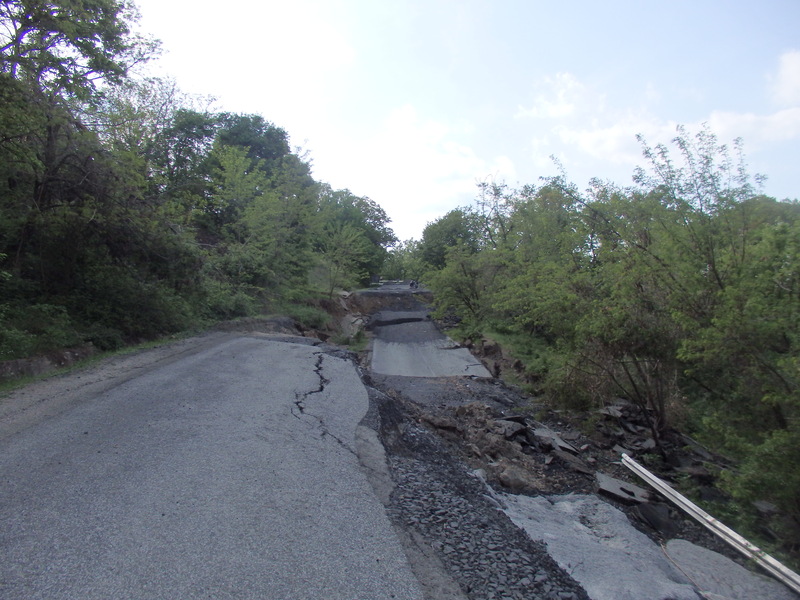 Hard to believe how a road can be ruined just like this, and makes you feel very ‘at mercy’ to Mother Nature. We passed some poorer villages were time appeared to have stood still. Everyone was out on horse-drawn carts working in the evening sun by hand in the fields while the small children chased us down the road. 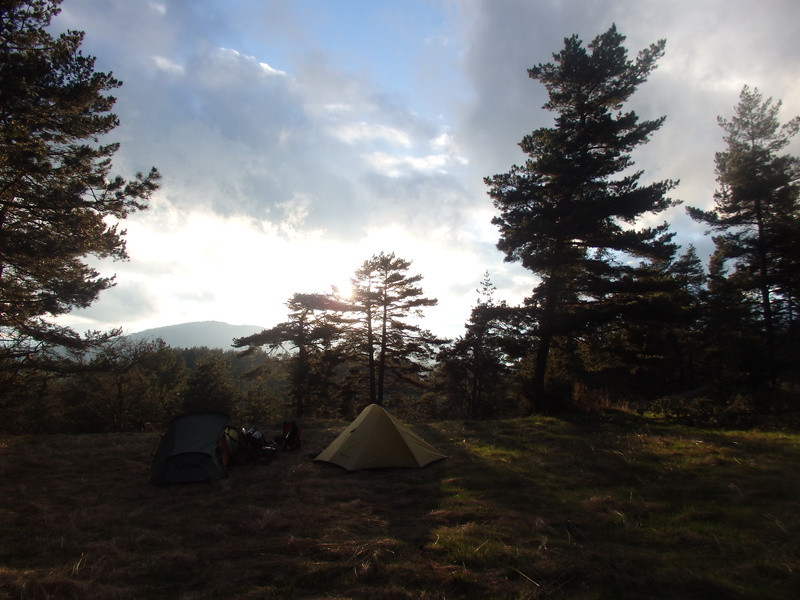 We set up camp one last time in Bulgaria and celebrated with a 2L flask of wine that cost us about £1. I like this country! For the first time I didn’t put my coat on after dark. The stars were out and it was nice not having to go to bed in a freezing hurry. 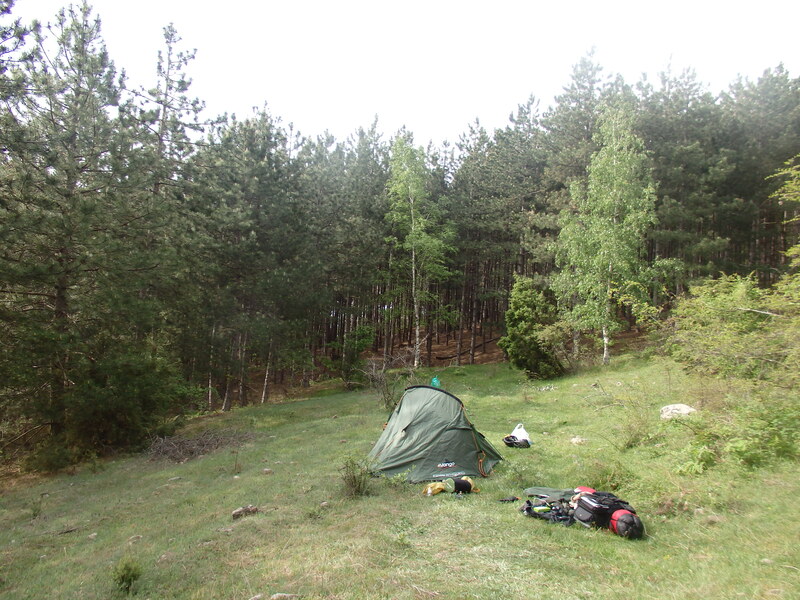 The next day we cycled down one last hill and then suddenly everything was flat. We had a good lunch to burn up the last of our Bulgarian shrapnel but once again the clouds were starting to grow dark and so our relaxed afternoon was cut short. 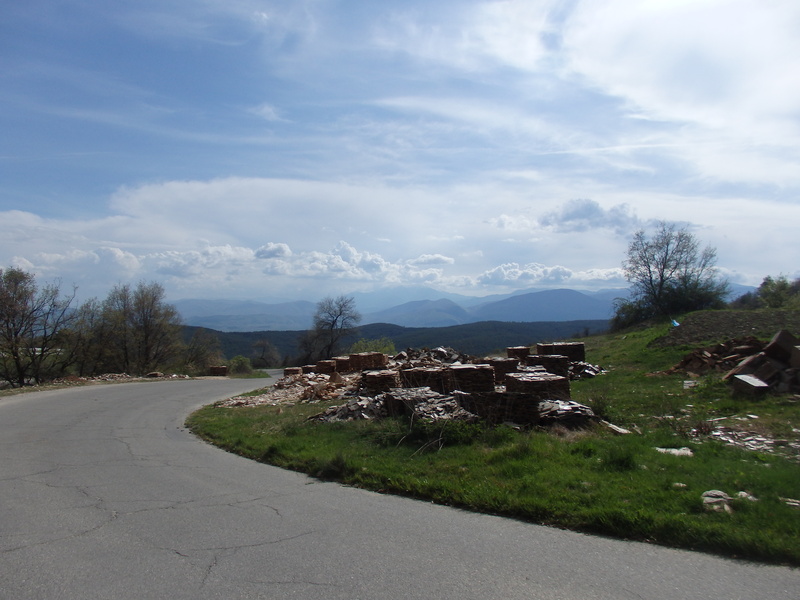 We raced towards the Greek border on the flattest road I’ve seen in weeks. I couldn’t enjoy it though – the lightning strikes we alarmingly close and the thunder was closing in around us. The border staff were painfully slow. It was obvious that the storm clouds were closing in and yet they sauntered about taking an eternity with our passports. 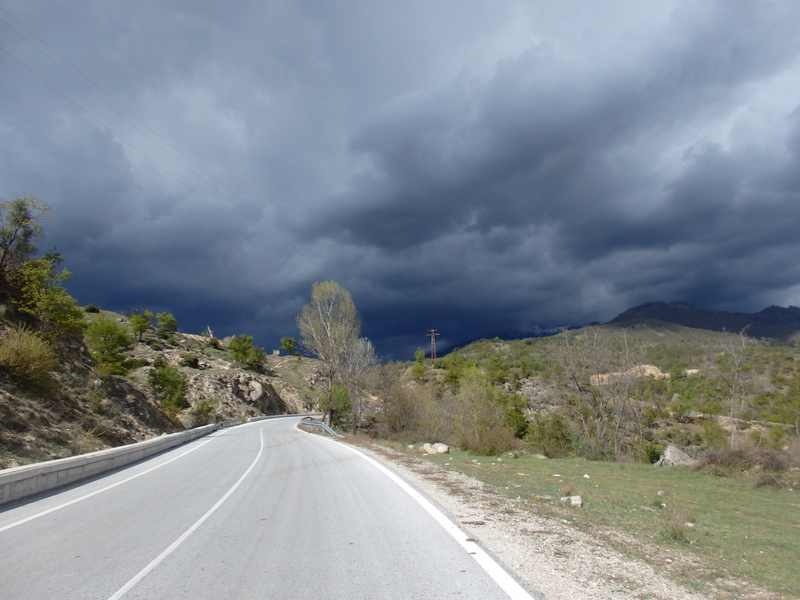 When we finally reached the village of Kyprinos the storm finally caught up with us. We stopped to look for shelter when an elderly couple beckoned us in. 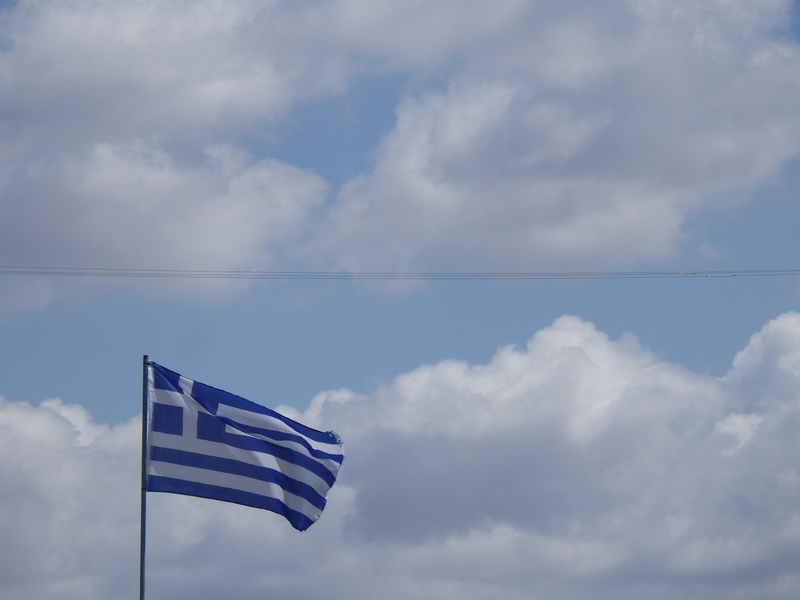 They were Greek, but had lived for more than thirty years in Berlin. I was happy to have Pia as my German translator once again, and next thing I knew they’d invited us to stay! 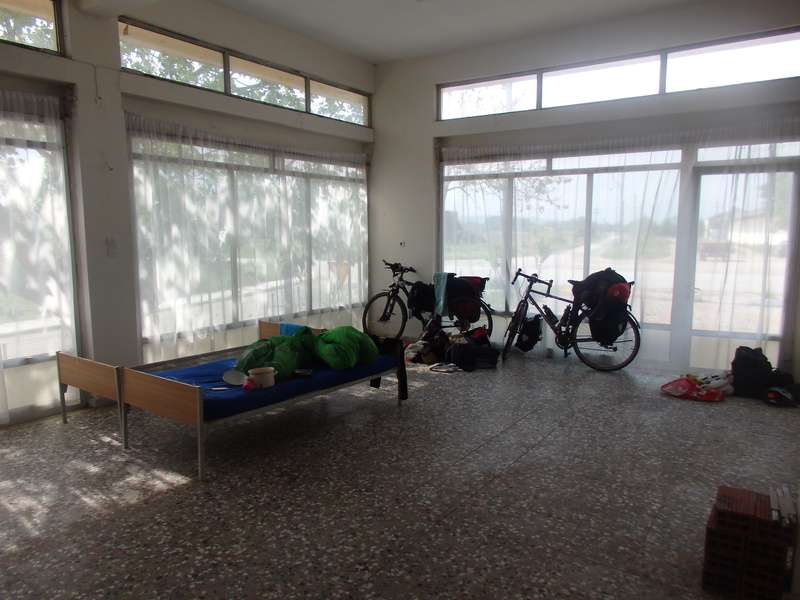 We assembled a couple of beds in the garage and were offered showers, food and clothes washing. 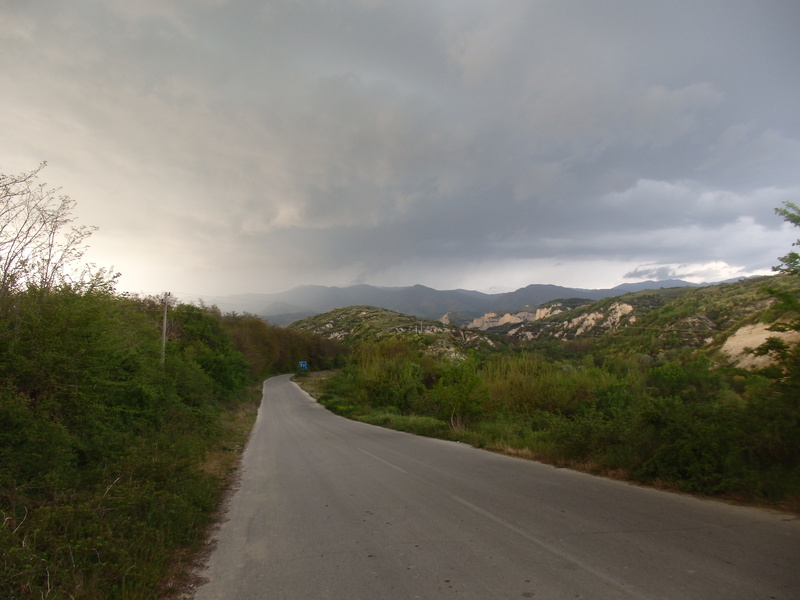 The storm eventually passed and we went into the village to find some ouzo to drink – we were only going to be in Greece a night. The vibe here was totally different to Bulgaria – somehow a little more Mediterranean. The bars were less run-down and filled with grey haired old men playing cards. We said bye to our generous hosts and headed for Turkey. But first, we stopped in town for a frappe (another essential Greek beverage) and WiFi – I wanted to check the election results. I gather I wasn’t the only person surprised (and disappointed) to see the Tories in. Mostly though, I felt a little embarrassed for not having voted. I was too ‘away with the fairies’ to follow the process. And now I have no right to complain for the next few years! 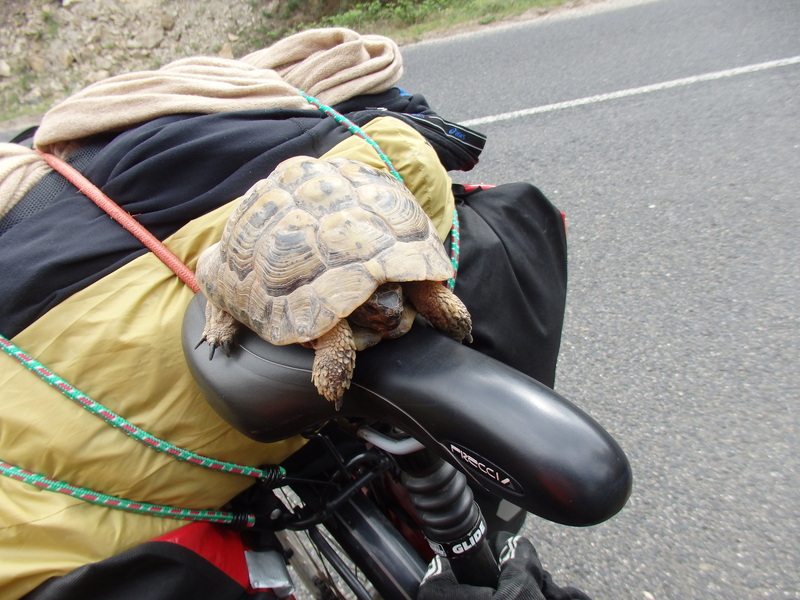 Ah well, I can just stay away with my bicycle – I’m fine with that. 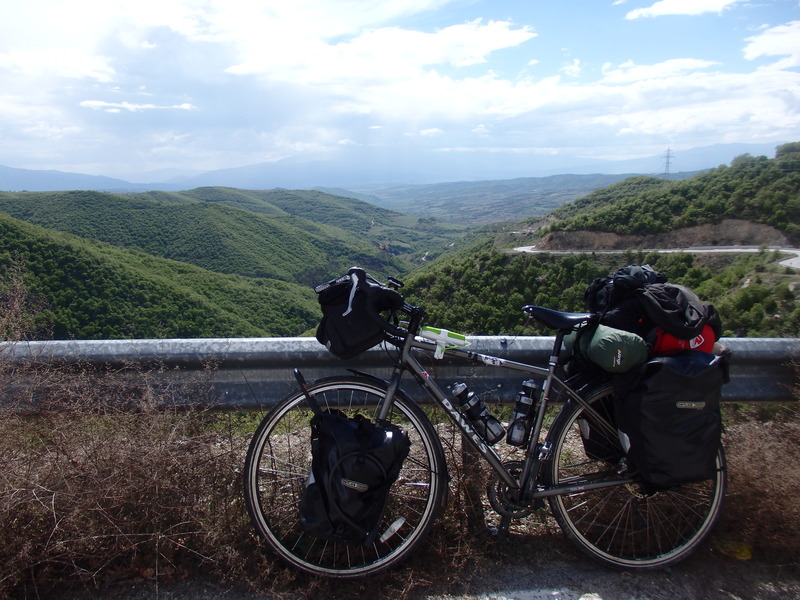 So, not feeling all too glum, we continued east and soon reached the Turkish border. The far end of Europe.